The Bank of Korea adjusted its prediction for this year’s economic growth rate to 2.6% and it also estimated next year’s growth rate to be 2.6%. It is expected that annual economic growth rate will be around 2% for awhile. Its monetary policy focuses on ‘stability of macroeconomics’. It froze the interest rate at this year’s first monetary policy board meeting and it is expected to continue such keynote in the future. 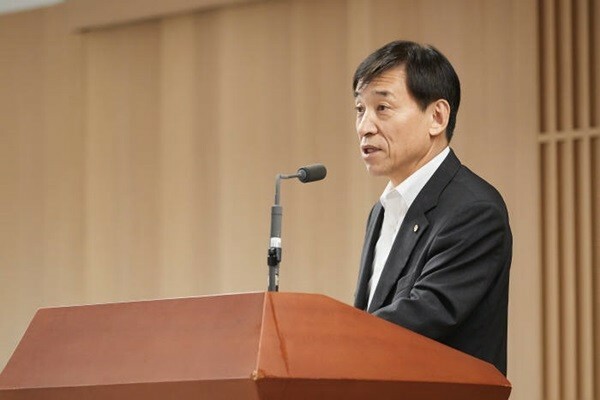 The Bank of Korea held a monetary policy board meeting on the 24th and announced its prediction on economic growth rate and base interest rate. The Bank of Korea froze the interest rate at 1.75% as level of concerns towards ‘difference between interest rates of South Korea and the U.S.’, which is a main cause of an increase in interest rate, has dropped. FED (Federal Reserve System) is sending more ‘dovish’ signs than before, and the Bank of Korea already increased interest rate back in November. “Future monetary policies will be eased and any adjustment will be made after carefully looking at global economic trends, trade conflicts between the U.S. and China, and FED’s monetary policies.” said President Lee Joo-yeol of The Bank of Korea. The Bank of Korea is predicting that extensive financial policies will support economic growth while it will center around consumption and export. It is predicting that facility investment, which had struggled in second and third quarter of 2018, will rebound itself. However, it is predicting that construction investment will be in negatives once again this year. The Bank of Korea also lowered its prediction for this year’s inflation rate to 1.4%, which is 0.3% lower than inflation rate back in October, after considering many factors such as international oil price drop and strengthened welfare policies. Monetary policy board is predicting that this year’s consumer price index increase rate will fluctuate around 1% and eventually climb up to the middle of 1%. The Bank of Korea is predicting employment status for this year will be better than that of last year as it is predicting 140,000 and 170,000 more employees in 2019 and 2020 respectively compared to 2018.